Although I’m not a massive fan of either TRON film when it comes to the writing, I love the style, culture and sound of both films. 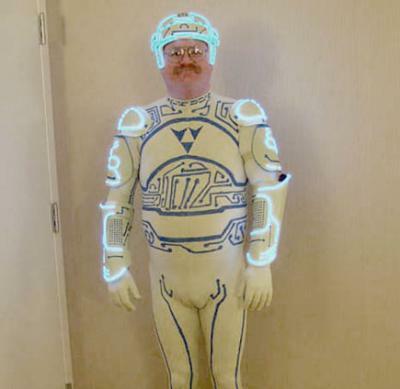 I’m stating this now so that you don’t immediately think of me being the younger, even freakier brother of ‘The Tron Guy’ (Jay Maynard). Albeit, bring on Tron 3 – the link attached reveals insights on the upcoming Teaser Trailer that will be on TRON: LEGACY’s Blu-Ray DVD.